It's more hip than a bearded vegan coffee roaster in Fitzroy. That's right, quinoa. It just took me a while to get on this bandwagon! Though it looks a bit like couscous, it's actually a plant protein that's rich in fibre and minerals (including potassium and magnesium). Because of its high protein content, it is perfect as a satisfying, healthy and versatile staple for breakfast, lunch and dinner meals. Here's some favourite ways to use it. Remember to wash it thoroughly before you cook it as the seed has a bitter coating that is best removed prior to cooking. 1. Place quinoa in a fine sieve, and place the sieve in a large bowl. Cover quinoa with water. 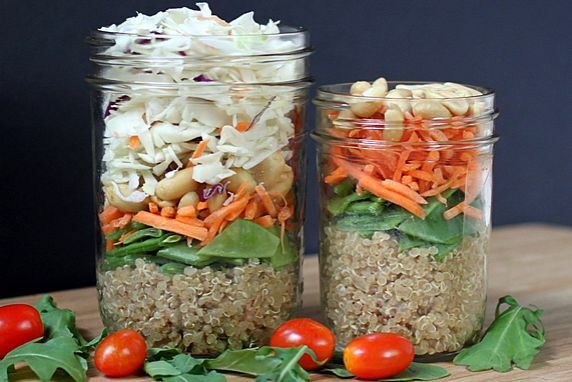 Using your hands, rub the grains together for 30 seconds; rinse and drain quinoa. Repeat the procedure twice. Drain well. Combine quinoa, coconut milk, 2 tablespoons water, brown sugar, and salt in a medium saucepan, and bring to a boil. Reduce heat, and simmer 15 minutes or until liquid is absorbed, stirring occasionally. Stir mixture constantly during the last 2 minutes of cooking. 2. Place about 1/2 cup quinoa mixture in each of 4 bowls. Top each serving with 1/4 cup strawberry slices, 1/4 cup banana slices, and 1 tablespoon toasted coconut. Serve warm. 1. 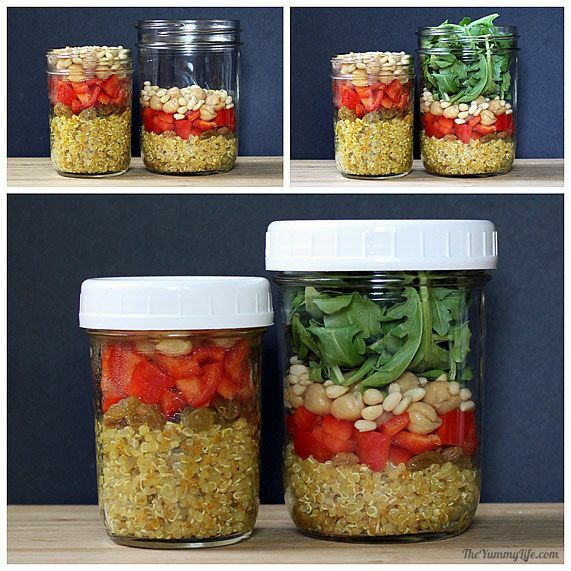 After cooking quinoa, allow it to fully cool before adding to the jar. You can use a funnel to make this easier or spoon it in to avoid mess! 2. It is up to you whether you add the dressing and stir it in at this point. 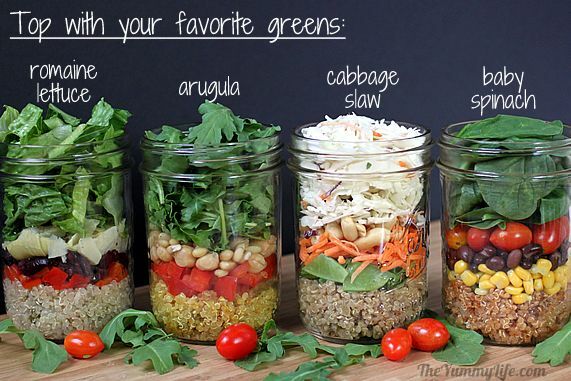 I prefer to keep dressings on the side but the original recipe recommends you add it to the quinoa first. 3. There are so many things you could add at this point, but I love the Asian Salad. Heat the chicken broth in a saucepan and add the cumin, ginger, cardamom and cinnamon. Stir in the quinoa (check the package to see if it needs to be rinsed in water first). Simmer gently for about 15-20 minutes. Remove from heat when most of the liquid has been absorbed into the quinoa. Allow to cool. Combine the lemon juice, honey and Harissa in a bowl. Stir in the cooled quinoa, shredded, carrot, currants, green onion and cilantro. Check and adjust the seasoning, if necessary.